FREE Shipping on Orders $65.00 or More. NOTICE: Buyer's Club has been discontinued. Welcome to Variety Gifts & Services™ - Your one-stop shop. Variety Gifts and Services™ is a long established small business providing a variety of personal and gift items for all occasions to customers in Georgia and online shopping since 1994. Our product line is ever changing to bring new products to our customers. Relax in the comfort of your home with your very own therapeutic essential oil diffusers. Create a personal spa to relax and restore your inner self after a long day at work. 316 Stainless Steel essential oil Car Diffusers. These easy to use car diffusers clip on to the car vent and circulate your favorite aromatherapy fragrance. Fragrances wake up your senses and bring back thoughts of memorable moments. Oil warmers come in different styles, such as Plug-in warmers that can be used as a night light or with fragrances. 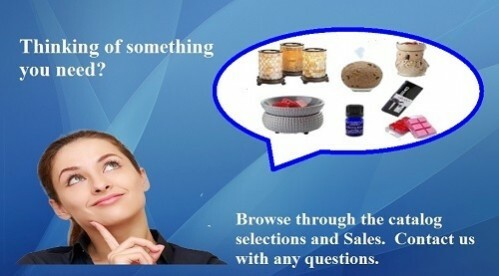 2-in-1 candle warmers that come with a warming plate and dish that can be used with melts, oils or jar candles. Glass illuminationcandle warmers reflect a soft light through the shade as the fragrance drifts through the room. Essential Oils are now available for diffusing or blending your own fragrance. For adults we have the essential oils and essential oil Inhalers by SpaRoom. We now offer KidSafe® essential oils. Synergies essential oils and Roll-Ons that are formulated especially for children. The synergies and can be diffused or combined with a carrier oil for use on the body. The KidSafe® essential oil Roll-Ons have already been added to a carrier oil and are ready to be used on the body. More KidSafe® products coming soon. Whether you like oils for your burners or tarts (also known as melts) you can find both in a variety of fragrances. The burning oils are pure oils, no alcohol or water added. The tarts are hand poured from soy and scented with Grade A oils. Wrap yourself from head to toe with the warmth of our winter apparel. Stay warm from head to toe with Infinity Scarves, Hats and Headwraps. Don't just wear the boring style of a boot, jazz it up with our boot cuffs, boot socks or leg warmers. Family Crests and Family Trees are ideal for a special gift or to display in your home. These memorable keepsake prints are available as prints only, prints matted or prints matted and framed. Additional personalized prints can be found at My Creative Books. How about a baby book for a new addition to the family, a birthday surprise, some help with potty training or any occasion? My Creative Books has some awesome books that will thrill any child. These books make learning fun and is a great tool for encouraging children to read. Click here to browse through the books and other personalized items at My Creative Books.